Honored at this year’s SEC Men’s Basketball Tournament will be the Chick-fil-A 2009 Legends class. This year’s class features former greats from all 12 Southeastern Conference member institutions. The 2009 class honors Melvin Cheatum, Alabama; Scotty Thurman, Arkansas; Doc Robinson, Auburn; Eugene McDowell, Florida; Shandon Anderson, Georgia; Louie Dampier, Kentucky; Ethan Martin, LSU; Keith Carter, Ole Miss; Tony Watts, Mississippi State; Grady Wallace, South Carolina; Paul “Lefty” Walther, Tennessee and Phil Cox, Vanderbilt. Each Chick-fil-A SEC Basketball Legend will be recognized at halftime of his institution&apos;s first game at the tournament. Highlighting the schedule of events at the Dr Pepper SEC FanFare will be appearances by the legends on the Chick-fil-A Press Box Stage. Complimentary posters of the legends will be available in the autograph area near the press box stage. FanFare will be open Thursday-Saturday, March 12-15 on the West side of the St. Pete Times Forum in the Plaza Lot. For more detailed information on each legend click here. 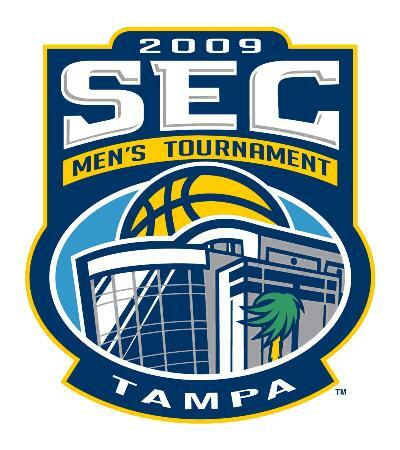 To find all information about the 2009 SEC Men’s Basketball Tournament log on to www.SECTampaBay.com! Stay tuned for more SEC Basketball related things to do in Tampa Bay!